King Loong Choi is a Senior Analyst at Investment Trends’ and leads the research into the self-managed super fund (SMSF), superannuation, retirement and insurance sectors, specializing in examining and exploring emerging trends in the Australian financial landscape. He frequently presents to clients across leading financial services in Australia and globally and regularly contributes to industry media. 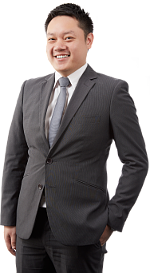 Prior to joining Investment Trends in 2010, he completed his Bachelor of Commerce in Finance and International Business with Distinction at the University of New South Wales. King has also completed all three levels of the Certified Financial Analyst (CFA) program.